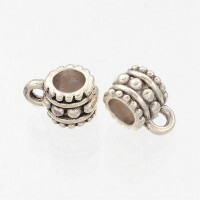 These bails feature a beautiful Bali style beaded design. 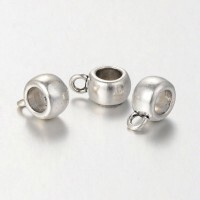 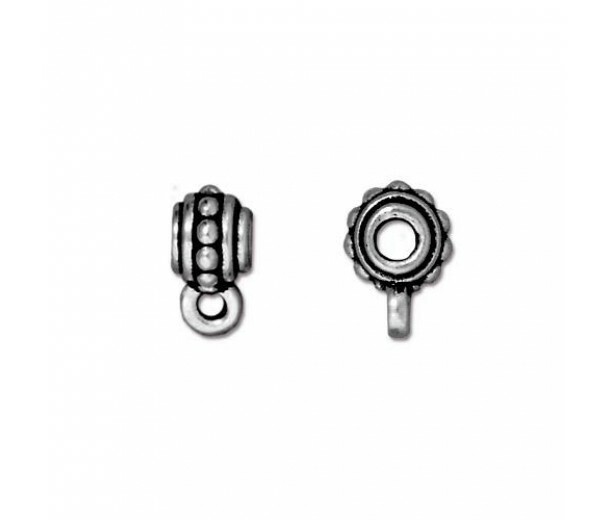 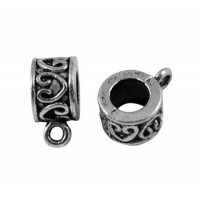 They are unique and intricate, perfect for pairing with antique silver findings and 10mm natural stone beads in beaded bracelet designs. 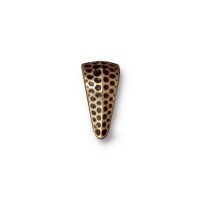 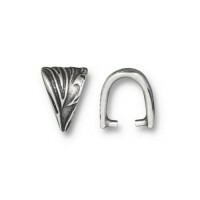 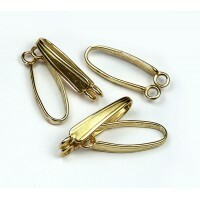 Their larger hole size is great for use with leather cord or multistrand designs. 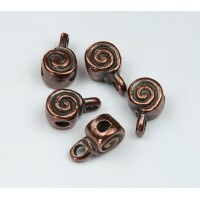 Dimensions: 10mm tall, 7mm wide, 2.75mm hole.